Ergonomics is practiced almost every day without the individual even realizing it. For instance, think of the first thing that you do when you get into your car to drive. You inevitably adjust your seat, rear mirrors and steering wheel according to your physical comfort. By unknowingly practicing these small things prior to driving, you seek the least tiring way to use your muscles and the most comfortable position that will enable you to focus on driving. The same principle applies to your workplace. The positioning and posture of every individual should be optimized so that least amount of pressure is exerted on muscles and joints helping the individual to focus only and only on productive work. This is what ergonomics is all about. By definition, ergonomics is the process of designing and/or modifying equipment, tools and spaces used at workplaces in order to enhance the working environment making it suitable for human physical needs. This process is crafted by studying the relationship between man and his surrounding working environment. The ultimate aim of ergonomics is to safeguard human health and well being, thereby optimizing individual performance in an organization. Physical Risk Factors Associated with Poor Ergonomics: Modern working culture has drifted from tasks that involve physical stress to static muscular work and the use of computers for long hours together. This has exposed employees to several health risk factors increasing the incidences of workplace injury and illnesses. Improper placement and design of workplace equipments such as desk, monitors, keyboard, chair, lights and telephone significantly impact the posture of individuals using the workstation. Static Posture: Performing the same tasks daily in the same posture imposes heavy physical strain. 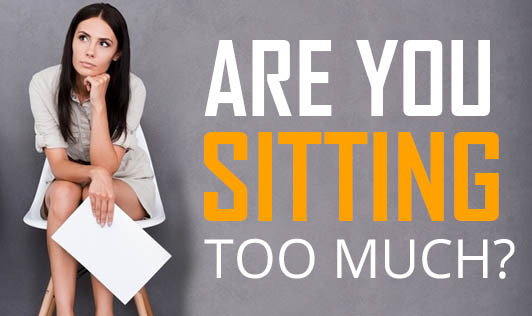 Static postures without intermittent breaks can result in unwanted stress on specific joints and muscles of the body. Awkward Posture: Equipment forcing individuals to work in an awkward positions can stretch or squeeze soft tissues, specific nerves and blood vessels causing throbbing pain in that region. Slouching: Equipment that causes drooling or slouching increases the weight of the head on the neck. Rounding the upper back can further induce pressure on the soft tissues at the base of the skull, leading to chronic headaches. Posture Involving Force & Strain: Use of equipment that requires additional physical force and strain to perform tasks in a static posture can cause excessive muscle exertion. Ergonomists have studied workplace equipments and defined postures that can reduce unnecessary muscular force and pressure on the body while performing static work. This can in turn reduce the risk of injury and muscle and joint disorders in the long run. However, this is only possible if employees adhere to the ergonomic principles.